Coal Coast : a term which embraces our industrial history while celebrating our glittering coastline. A quarterly lifestyle publication produced in the Illawarra, Coal Coast magazine keeps readers informed of local events and turns the spotlight on the region's many talents. With diverse, carefully curated content and beautiful photography – including inspiring and informative editorials, and thought-provoking features – Coal Coast magazine is a true celebration of life in our little pocket of the world. As a free, independent publication, we tell real stories with authenticity and passion. 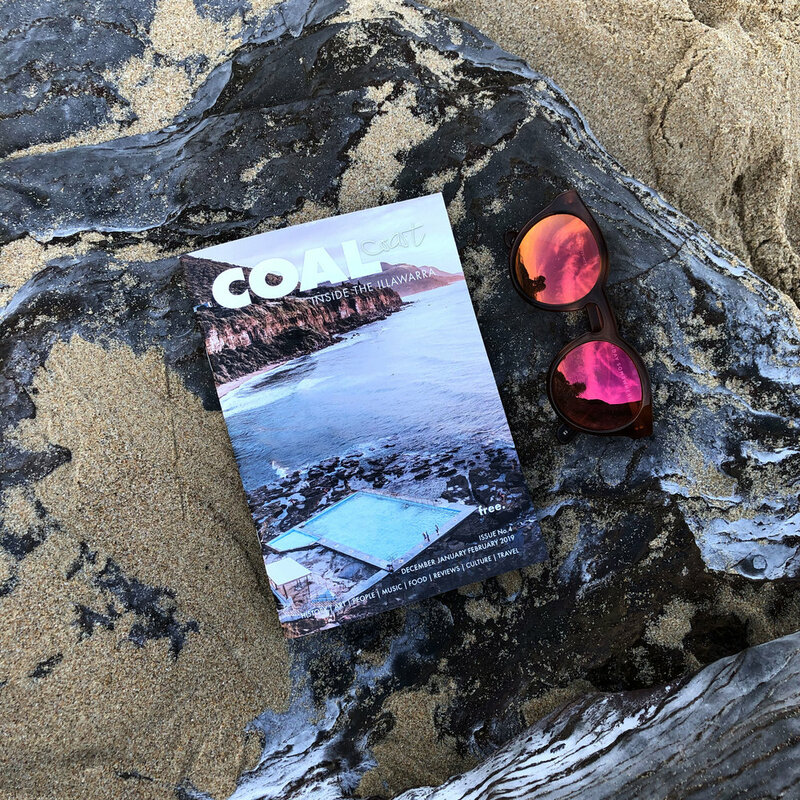 Coal Coast is designed to be read on the beach, displayed on a coffee table, lovingly stored on a bookshelf as part of a collection or passed onto a friend. In this fast-paced world we live in, we aim to feature timeless content that endures – we hope you take joy from each issue for many years to come. Our first edition received an overwhelmingly positive response from the community. Features include Farmers by Choice; Recipes from The Illawarra Cookbook and How to buy local. Our winter issue... the cosy winter read. Highlights include interviews with Yours & Owls, the Caveau chefs and the founder of It's Homebaked. The spring issue... celebrates this beautiful time of year. Features include Hidden Harvest, Ruby's Mount Kembla, Lisa Trujillo, South Coast Dairy and much more. Our hot little summer issue… with a guide to our beautiful ocean pools along our coastline, work out where to dive in first! Plus find cocktail recipes from local bars. Cheers to an awesome 2018. Happy birthday to us! This autumn issue marks one year of Coal Coast Magazine… and in the spirit of celebration we caught up with community members who also are spreading those good vibes.